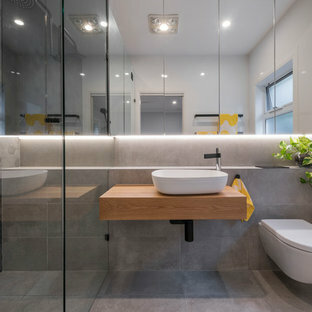 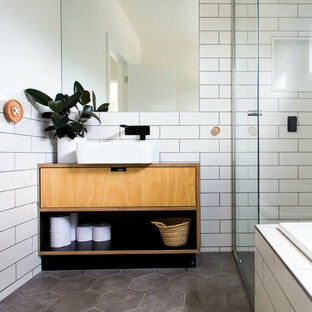 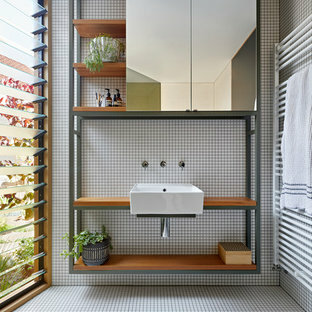 This mid-century inspired bathroom is warm, relaxing and flows. 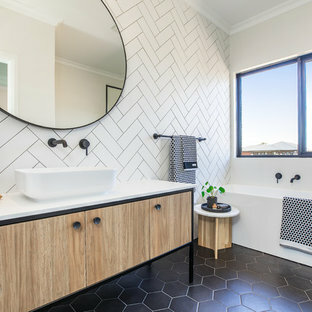 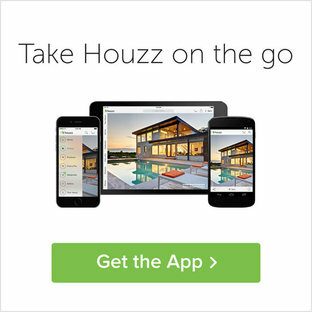 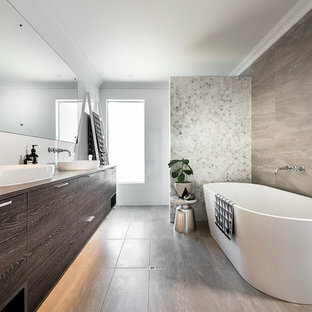 The contemporary geometric floor tiles and chrome tapware is softened by the use of timber. 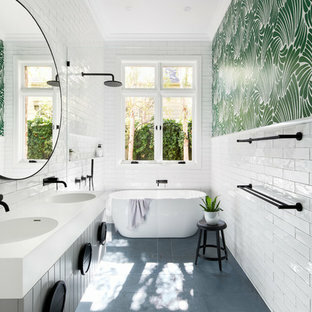 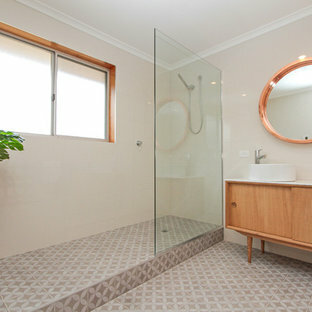 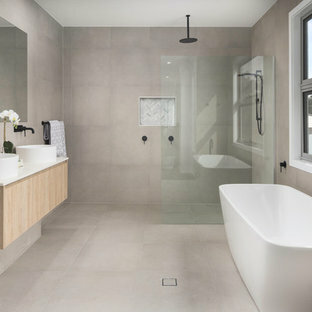 The eye-catcher of this bathroom is the floor tiling, creeping up onto the Kaldewei Cayono Bath.